Chest 36-38" 38-40" 40-42" 42-44" 44-46" 46-48" 48-50" 50-52"
Compared to traditional apparel sizing, the Clique fit is sized smaller. 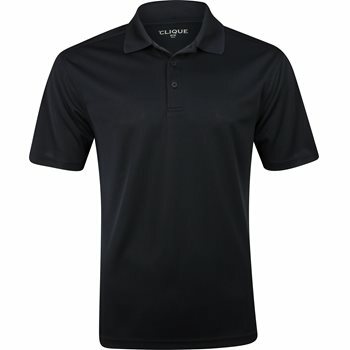 The Clique by Cutter & Buck Spin Dye Pique polo features spin dye polyester pique fabric that allows machine washing, provides durability and offers resistance against shrinking and wrinkles. The polo is designed with a ribbed knit collar, a 3-button placket, a fully-taped neck seam and forward shoulders.